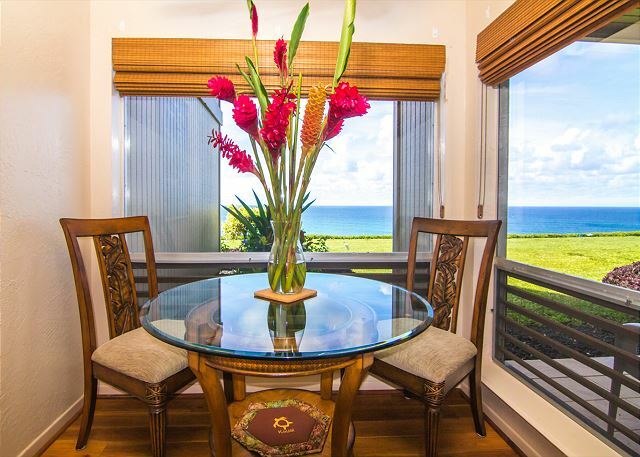 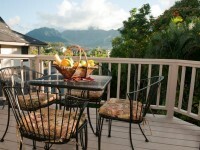 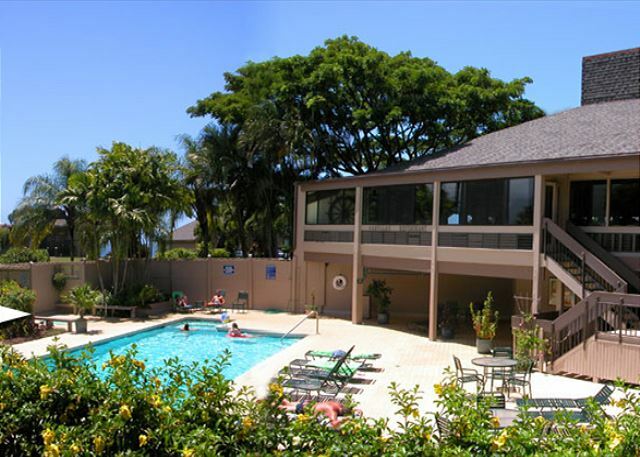 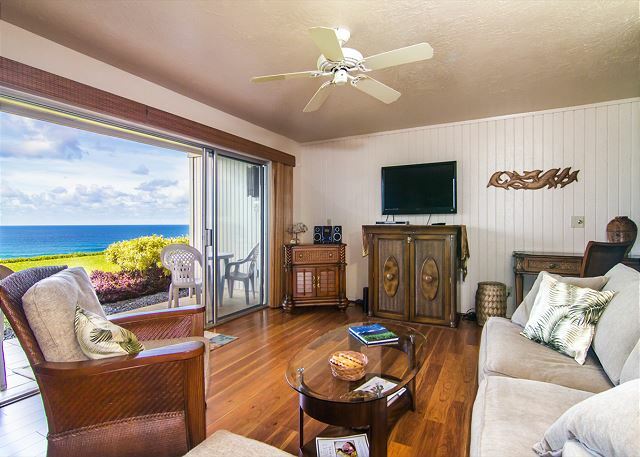 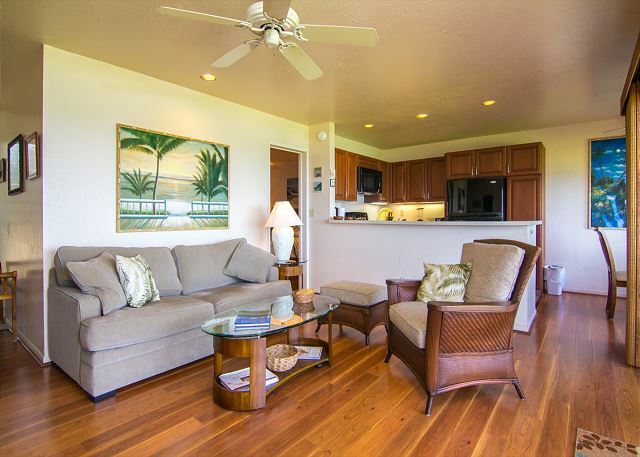 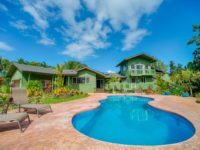 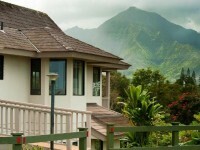 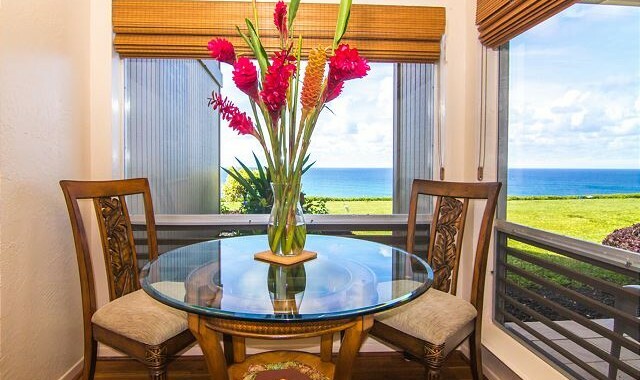 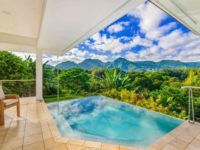 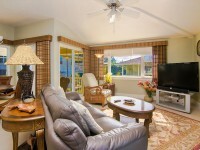 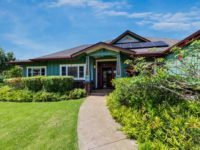 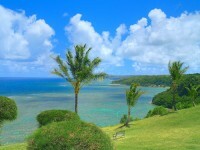 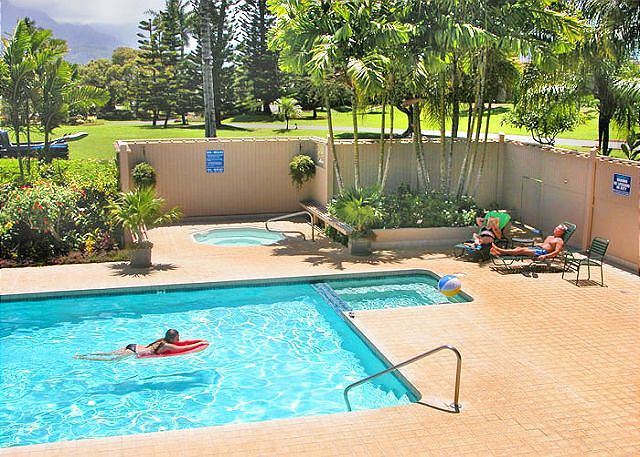 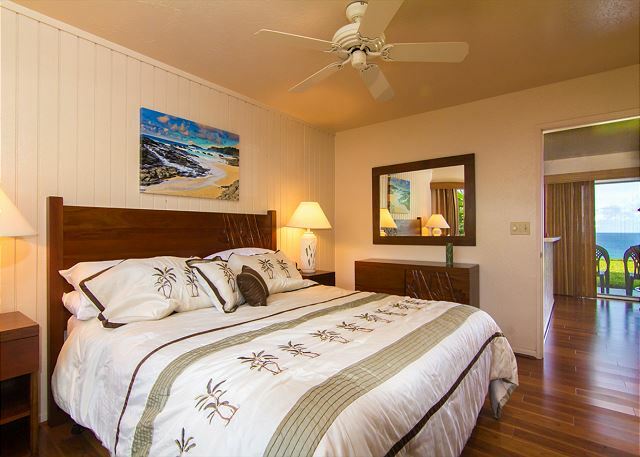 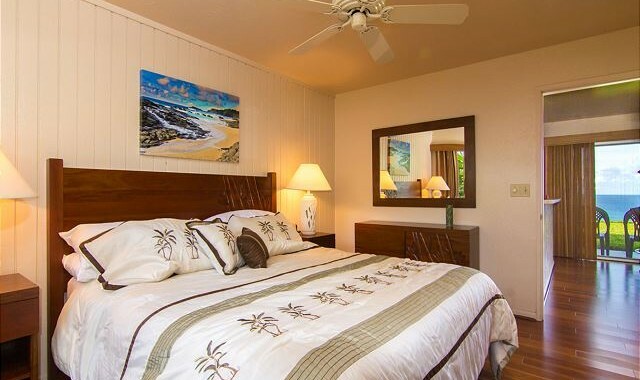 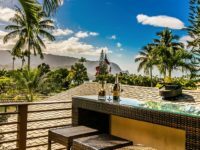 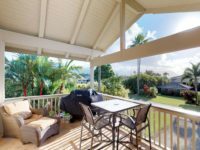 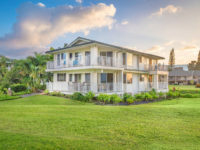 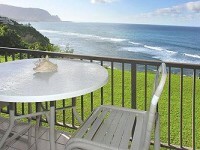 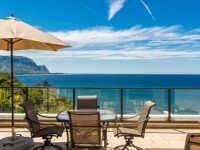 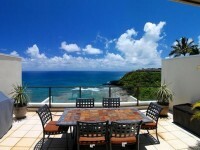 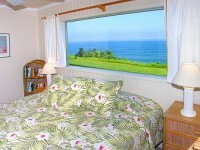 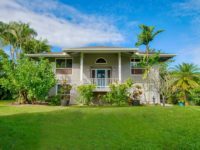 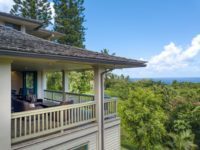 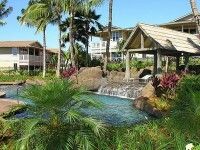 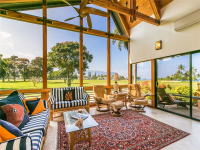 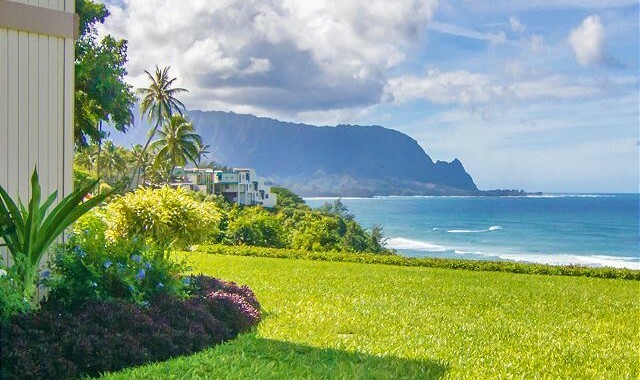 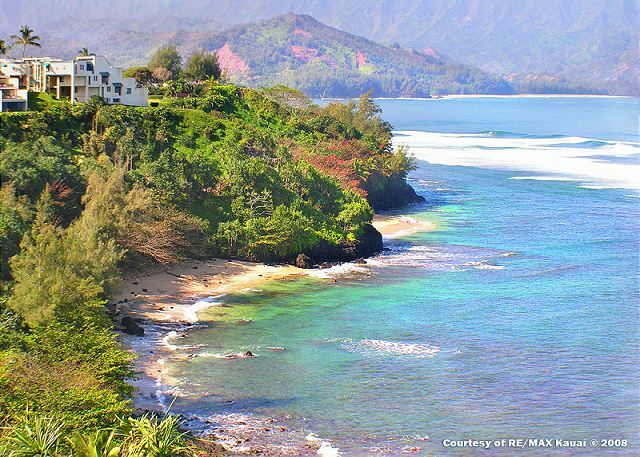 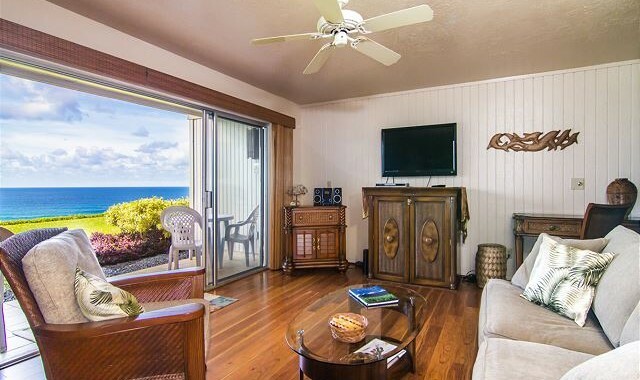 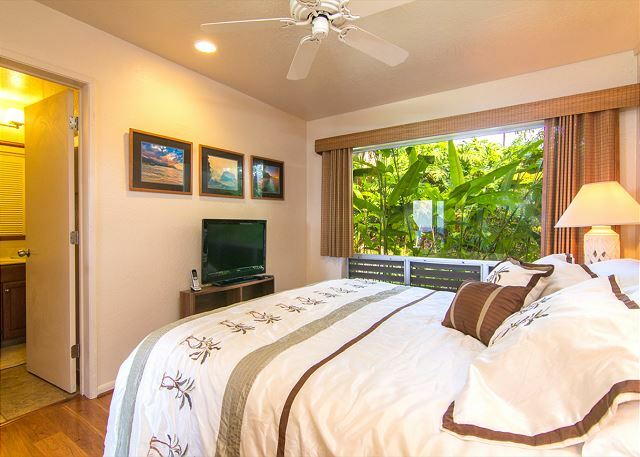 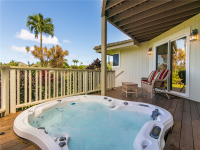 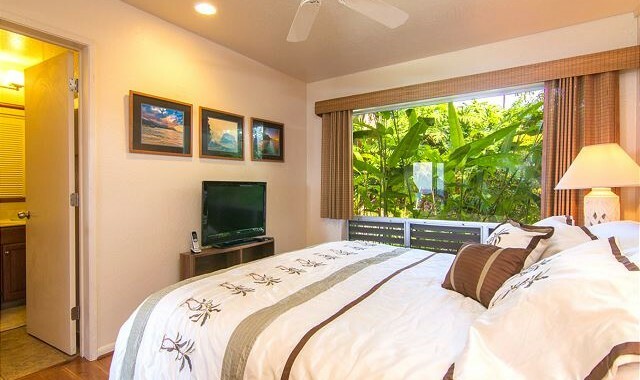 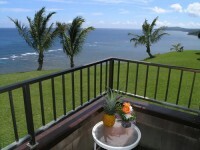 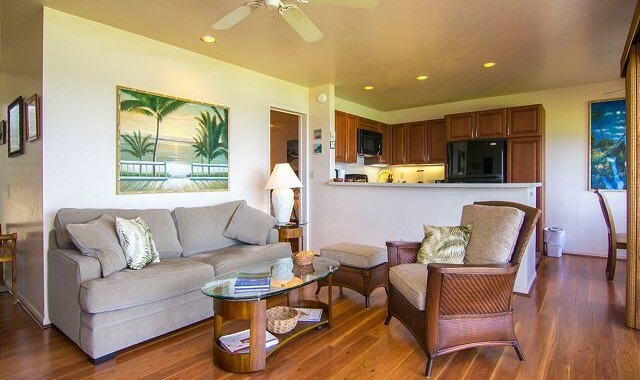 PRINCEVILLE, KAUAI VACATION RENTAL: From its oceanfront perch Pali Ke Kua #103, a one bedroom, one bath condo boasts unparalleled panoramic Hanalei Bay, Pacific Ocean and Bali Hai Mountain sunset views. 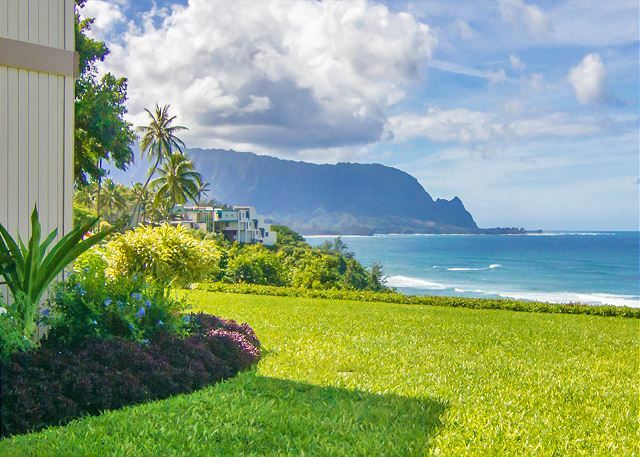 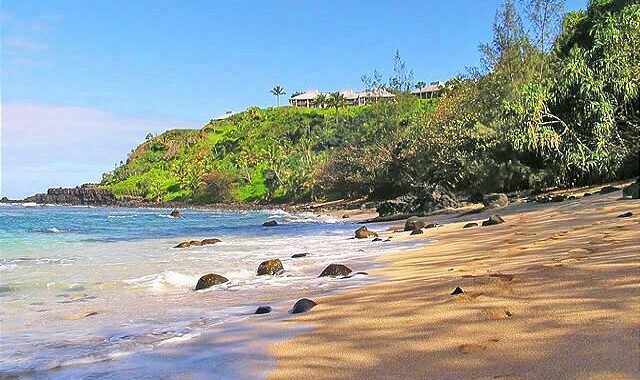 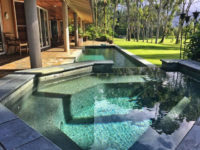 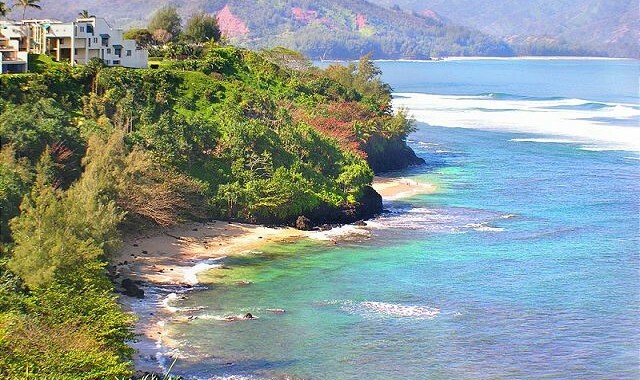 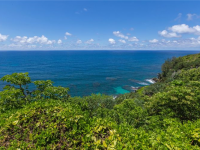 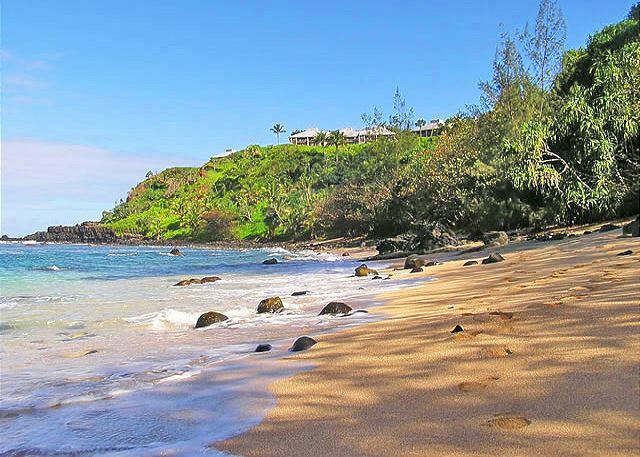 The world class views are said to be the most spectacular in the extraordinarily beautiful North Shore of Kauai and many say the finest in all of the Hawaiian Islands! 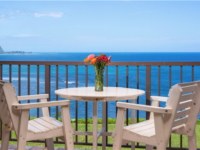 Combine the ever present ocean vistas with the soothing sounds of waves breaking below the bluff and you will understand why so many call this the vacation of a lifetime. 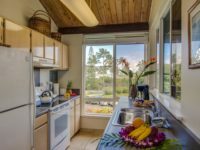 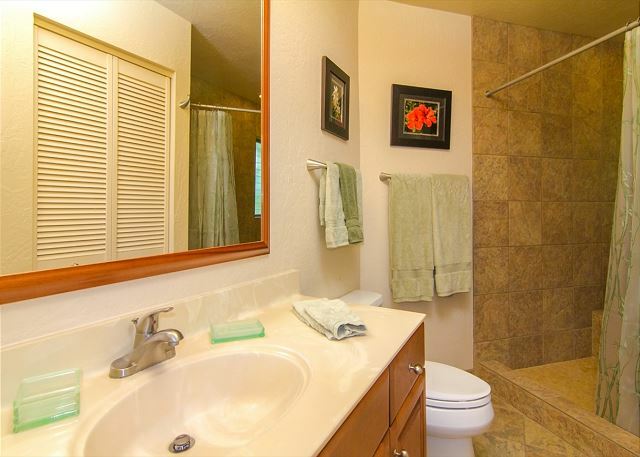 Features of the beautifully appointed condo including all new furniture, new bathroom with quartz countertop and vessel sink. 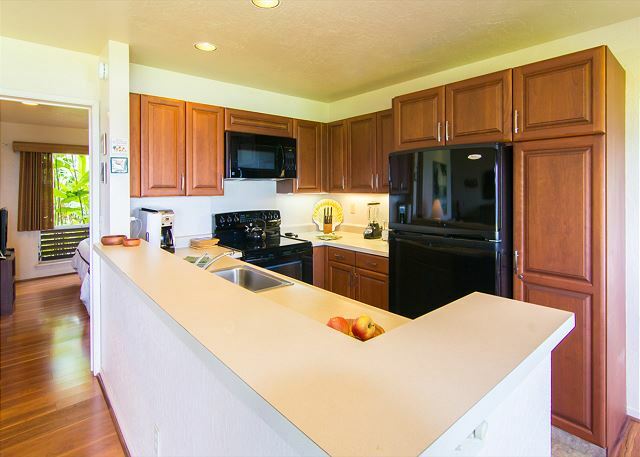 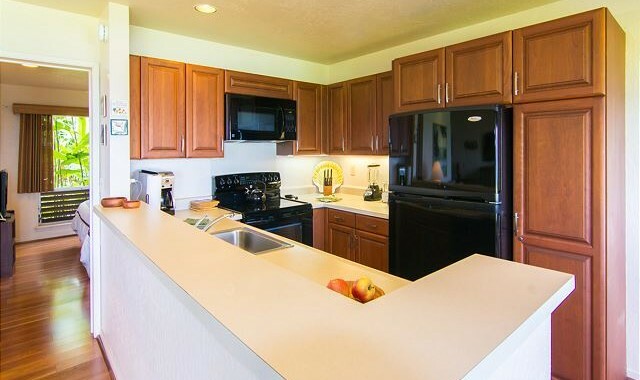 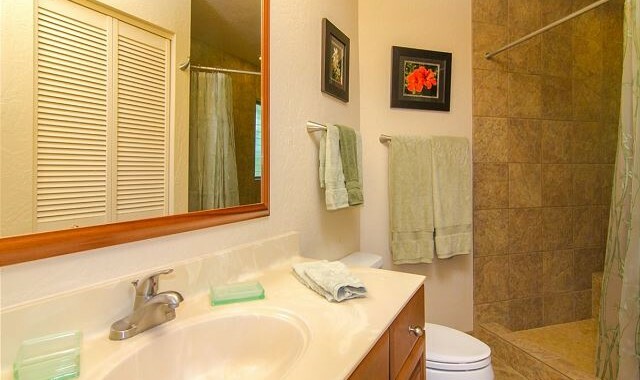 The well equipped kitchen is another highlight with new cabinetry, new quartz countertops and all new appliances. 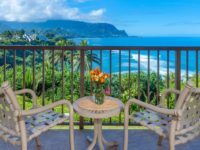 Two new flat screen TV’s, beautiful new laminated wood flooring, king size bed plus a queen sofa bed, free Wi-Fi and much more make this condo the premier unit at Pali Ke Kua. 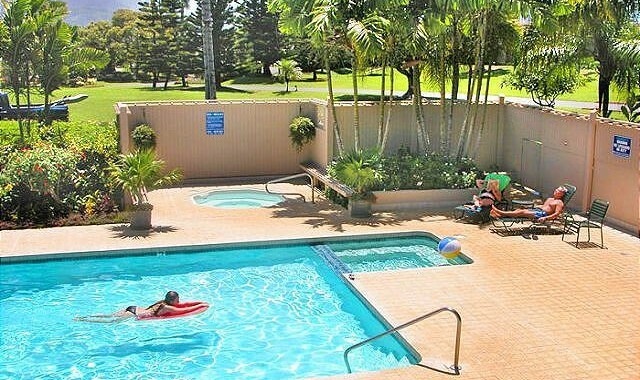 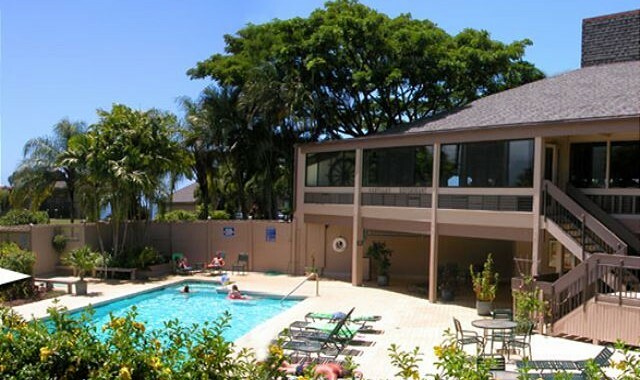 Only steps away from a private paved path to Hideways Beach as well as Hideways Pizza Pub on property and the newly renovated spa and pool all help to make your visit fun and memorable. 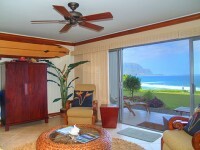 Big wave surfing and whales can be seen in season on the ocean below.